I hope you are all enjoying your Sunday afternoon. I have had a nice lazy morning prepping mine and babies bag’s for hospital. I am definitely hitting the ‘nesting’ stage, and can’t stop rearranging things at home, and wanting to clean and organise everything I see! Some of you have been following me from very early on in my pregnancy, and some of you are just recent followers, but I know a lot of my readers are either expecting a baby or have already had children. After a late night chat with my partner, and discussing the influence social media can have on young women, and the pressure it can put on you, I decided to write a post about the “real” side of pregnancy. I can only write from personal experience, but my own pregnancy has not been the easiest, on me or on those close to me. By flicking through my Facebook page or Instagram account, it may appear that I have everything under control and that I am breezing through pregnancy, which is certainly not the case. I feel it is only right to let you in on the not so glamorous side to my pregnancy, and how I have over come the hard days over the last nine months. The early days after finding out we were expecting a baby were an absolute blur. Initially, I was totally shocked, scared, anxious and excited all at the same time. It is such a hard thing to explain, but for anyone who has been there, I am sure you understand how difficult those first few weeks are. I felt immense pressure to be absolutely over joyed, as I know so many people would do anything in their power to become pregnant, but that wasn’t how I truly felt. How was I going to look after a tiny little person for the rest of my life? Would I be any use as a mother? Would the baby be healthy and happy? What about my career? The questions I put to myself on a daily basis were endless. Having suffered from anxiety in the past, it is safe to say that this massive milestone in my life triggered my panic attacks big time. I can honestly say, that without the support of my partner Paul, and my amazing family and friends, I don’t think I would have been able to take control of my anxiety the way I have. There were days I just sat and cried my eyes out, unable to comprehend the enormity of what was ahead. Other days, I was so excited to start a family, and become a mum to a beautiful little baby. These mixed emotions continued well into the 2nd trimester of my pregnancy, and still raise their head every now and then. I know pregnancy hormones play a big part in this too. The only thing that helped me feel better was to talk it out with people you trust. Just having someone there that you can be honest with, who you feel comfortable to tell your biggest fears too, is the best therapy out there. On top of the emotional stress I experienced in the early days, I also had severe morning sickness for over 20 weeks. I am talking throwing up more than 10 times a day, not being able to keep any food or water down, and feeling absolutely horrific, day in day out. This took its toll on me massively, and there were days it was impossible for me to see any positivity in being pregnant. I know thats a bold statement, but that is how I truly felt. How was anything worth this level of sickness and stress? It put a lot of pressure on myself and Paul too, as you can imagine how hard I was to be around. When we met, I was always full of laughs, smile and positivity, and all of a sudden I was grumpy, snappy, negative and very draining to be around. Luckily, he was so supportive and understanding. Day in, day out, he did his very best to just get one smile out of me, or cheer me up as best he could. I know pregnancy is very tough on women, but I admire the men out there who have the patience to support a pregnant women, because if you were anything like me, then its not an easy task. After getting through the tough days of morning sickness (or all day sickness in my case) I began to feel better and started to enjoy being pregnant. That was until, a few weeks later, I got sciatica and was in agony once again with hip pain. And you can imagine, it was back to square one, being fed up, exhausted, and generally very negative. I just wanted a break, to enjoy my pregnancy and not be in constant pain. Luckily, I got some relied from the pain after a few weeks, and was able to continue working, which was very important to me. Now that I am 35 weeks pregnant, there are more symptoms of pregnancy that are testing my patience. I have spent nearly every night in the last week, sitting up sobbing my eyes out on Paul’s shoulder, out of exhaustion and lack of sleep. My little man loves to wake up the minute I need to sleep, and continuously kicks and punches my ribs, making it impossible to nod off. I also have a bladder/kidney infection, so you can imagine how often I am needing to pee, again leaving me exhausted. Don’t get me wrong, everything I have experienced so far in my pregnancy has been very normal and common, but I never had any idea how much it tests your patience and positivity. Blogging has been such a great way for me to switch off and gives me something to focus on, but I don’t want any of my followers to get the wrong idea about pregnancy, and think that it is all sunshine and flowers. The bad days are not something I would be quick to upload to social media, as I am sure no one wants to see pictures of my crying my eyes out at 4am, but that is the real side of my pregnancy. 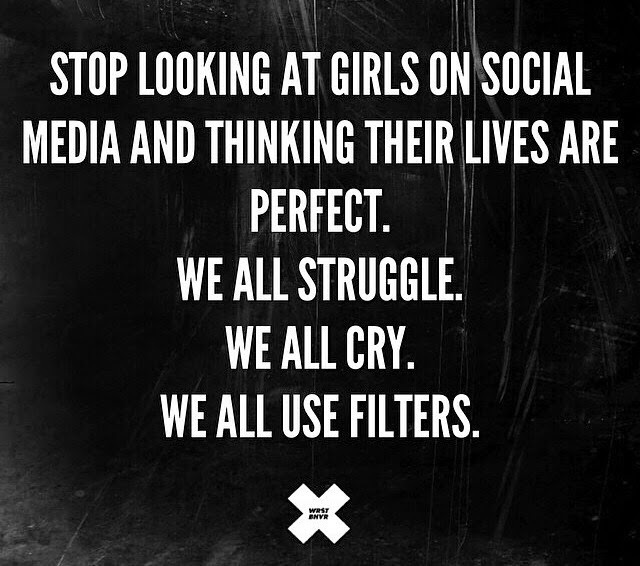 No one is perfect, and social media can fool you into thinking that people have the “perfect life” and are coping so well with something, when in reality, we are all the same. I have bad days, ugly days, fat days, bad hair days and extremely negative days like everybody else. I have chosen to show as much positivity on my blog and social media as I can, as it helps me to focus on the good things, and hopefully inspires you to try and look at your lives in a more positive way too. Deep down, I have never felt so blessed to have so many good things coming my way. I have a beautiful son who I get to meet in only a matter of weeks, an amazing soul mate and best friend to start my family with, incredibly supportive friends, and my ‘rock’ of a family who have been there through thick and thin, so the good days definitely out weigh the bad. Love this! I have gotten crazy anxiety during my pregnancy to the point where I actually feel like my heart is going to pump through my chest. Luckily the worst day so far my husband had a day off in Iraq so he could calm me down on the phone. It's overwhelming what happens to your body but a miracle all at the same time! I am not expecting but this brought tears to my eyes as I have dealt with my ken battle of mental health over the past few years and it isn't easy to admit something like that on the Internet so good for you Rosie. I follow you on Instagram and always think wow I hope I can look that good when I'm 8 months pregnant and seeing this post makes me admire you even more, you are strong and honest and you will be a great mother. Your career may come and go but the love you will feel when you meet your little man -planned or not, will never compare to anything else in your life. I admire you and love your blog and your IG account, if you ever have a minute I would love if you could take a peek at my blog, love Robyn. Rosie, that was such a lovely read. Well done on all you have achieved at such a young age. I run a little playcafe for parents and babies. When little man arrives and things are starting to feel 'normal' again, I'd love to invite you over for coffee and a chat with our moms. The best is yet to come, there is definitely a market there for new mothers who still want to be stylish and glamorous after baby is born.